Spanish and Portuguese White Wines for Spring!! 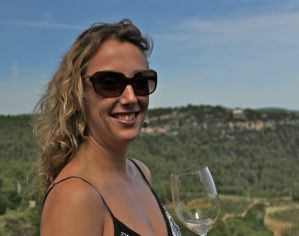 Spanish and Portuguese Wines for Spring: Light and Aromatic Whites! I saw something yesterday, quite unexpectedly, that gave me such a good feeling – it was a big round, rather blinding ball in the sky, I knew I recognized it…then it came to me – ah yes, it was the sun! It didn’t stick around long however, and today it’s once again hidden behind soggy, grey rain clouds. Nevertheless, this surprising sighting has given me a taste of how fabulous spring will feel when it does finally arrive, so if you’re like me and can’t wait for that day, I suggest we all start drinking spring wines in anticipation and to cheer ourselves up! 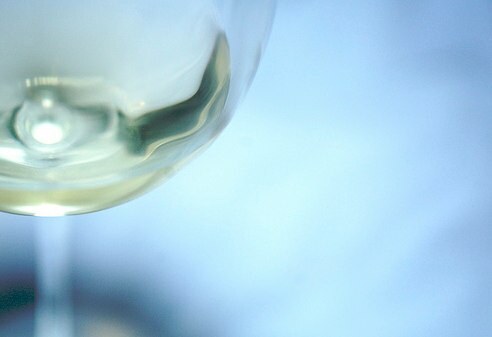 In Wines for Spring Part 1, we looked at some red suggestions and now we’re lightening up and looking at 3 whites to tantalize your taste buds as we begin to thaw out from winter. This wine is nothing but fun! It’s light, effervescent and low in alcohol which means we can enjoy it any day, any time. Let’s start with how to say the name so when you see it on a wine list, you’ll know what to ask for – it’s pronounced cha-ko-lee and is in fact a region of the autonomous Basque Country of northern Spain. Only recognized as a DO in 1989, the area of Txakoli was in serious decline until then, but the quality and production have risen rapidly and there are some excellent wines being made. The grape variety is rather obscure and is indigenous to this region, it’s called Hondarrabi Zuri and can produce wines that are complex and delicate at the same time. As for what to expect when you open the bottle, the wine is similar to a Vinho Verde – fresh, crisp with a slight spritz and is well-suited to afternoon sipping in the garden or paired with a plate of fresh sushi. One I particularly like is the Ameztoi Txakoli. The arrival of spring certainly calls for a celebration and Cava is the perfect choice. This Spanish sparkling wine is made in the same ‘traditional’ method as used in Champagne so you’ll have many of the same fruity, toasty characteristics, but because it uses different grapes and doesn’t come from the coveted French region, it’s much more affordable! The grapes of Cava are a combination of three – Parellada, Xarel.lo and Macabeo. The DO covers several regions, but most Cava is made in the region of Penedès just to the south of Barcelona. Personally I love to pop open a bottle of Cava for no reason whatsoever – it’s just delicious tasty wine that should be often enjoyed and shared. Two to try are the Blanc de Pacs NV from Parès Baltá and the Mercat Cava Brut Nature NV. Newsflash: Portugal’s Douro Valley does not just make luscious, sensual Port, they also produce stellar dry whites (and reds) and are some of my favourite at the moment. The vineyards of the Douro Valley are planted with numerous indigenous varieties, many of them growing amongst each other as a ‘field blend’ to the point that the owners often don’t know exactly which varieties they are. While the region would seem to be dominated by red wines and ports, the whites are the under-the-radar stunners. On a visit to the Douro last September, my top white of the trip was the Churchill’s Estates Branco which is a blend of mainly Rabigato and Viosinho. I wrote in my notes ‘beautifully bright zesty fruit with balanced complexity and a touch of minerality – delicious!’ Another one I loved for its lively, tropical flavours was the Symington Altano Branco which is made with Malvasia Fina, Viosinho, Rabigato and Moscatel Galego in varying proportions from year to year. Let’s hope that the light of Spring makes an appearance soon, but in the meantime, we can at least drink as if it was already here! What are some wines you look forward to when the weather gets warmer? Please let me know in the comments below.